Eyeing profit: Vinit Chandra, CEO of GRCB (emerging markets). Mumbai: Battling to reduce stressed assets that are crimping the profitability of its India business, Barclays Bank Plc is shifting its focus from the mass market to affluent consumers while continuing to expand lending to companies. “We will continue to serve existing clients. However, all our new customers will be in the mass affluent segment with an income of £25,000 to £30,000 (Rs19-23 lakh) annually," Dubai-based chief executive of GRCB (emerging markets), Vinit Chandra, said on the phone during a visit to Delhi last week. Barclays, UK’s second largest bank, aims to move out of some of its “not-so-profitable" businesses to the “more profitable" segments in India, he said. Launched in 2007, the bank’s GRCB business in India is now burdened with bad debt. Its loan book rose 60-fold in just two years, from Rs173 crore in 2006-07 to Rs10,551 crore in 2008-09, but the explosion in credit came at a high cost as its non-performing assets (NPAs) climbed from 0.42%, as a proportion of total loans, in fiscal 2008 to 4.59% in fiscal 2009. That’s more than double the average for foreign banks operating in India. The average NPAs for overseas banks in India, as a percentage of their loan books, was 1.8% in 2008-09, according to figures from the Reserve Bank of India. In line with the rise in NPAs, the bank’s provision for bad debts rose from Rs20 crore in March 2008 to Rs542 crore in March this year. Higher provisions dent a bank’s net profit. The India business posted a net profit of Rs30.1 crore in fiscal 2009. Emerging markets, including India, contribute about 9-10% of global GRCB revenues at Barclays Bank, and the lender expects 50% of the revenues to come from international business in the future. “India is amongst our most important growth markets across the emerging markets region. India is still a relatively young operation for Barclays GRCB," said Chandra. “There are very few countries across (the) Barclays world where national GDP growth has continued through the downturn at upwards of 6.3%. We are bullish on the potential that we see for our India operations." Defending the aggressive expansion strategy for India at the time of its entry, he said it was the correct strategy to adopt given the socio-economic conditions at that time, and that the bank was retooling its strategy. “Our impairments and loss rates is less than half of what it was before and we have not been worse than competition and (are) improving. The non-performing loans are stabilizing," he said. Chandra gives the credit for that to Barclays Bank’s interim managing director in India, Ram Gopal. After its former MD Samir Bhatia quit in May, Gopal, then chief operating officer, was given charge. Although Barclays is not looking for Bhatia’s replacement yet, it is filling other critical positions. After appointing Tejinder Singh Nalwa as director of consumer credit and collections (India and Asia), it is now in the process of hiring a consumer banking head for India. In some ways, the predicament Barclays finds itself in today is illustrative of the unrestricted growth strategies that many banks followed during the heady days of just a couple of years ago when economic growth of around 9% and rising incomes fuelled a boom in consumer loan demand that lenders rushed to meet. “The bet that most banks placed on the consumer lending business has gone wrong for most banks. 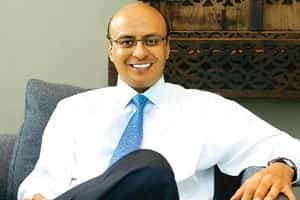 They have been aggressive on the personal lending side and have burnt their fingers on account of rise in NPAs and now their retail banking strategy is on the drawing board again,’’ said Saurabh Tripathi, partner and director at Boston Consulting Group. “Barclays was very aggressive. I would not say that they were not aware of the risk it was getting into, but as a new entrant, they could justify the aggressiveness." Gopal said that Barclays initially targeted the new-to-credit population—people that did not have a long credit history. At the end of August, the bank had 513,785 credit cards in circulation. Citibank NA, the third largest credit card issuer in India, has 3.8 million cards in circulation. Domestic banks and market leaders ICICI Bank Ltd and HDFC Bank Ltd have 8.5 million and 4.5 million cards respectively on issue. Currently, the secured and unsecured books of Barclays are equally matched, but this will change over time in favour of secured loans. The deposit base has grown to Rs12,486 crore in 2008-09 against Rs6,902 crore in 2007-08. “The bank’s commercial banking business that focuses on large, medium and small and medium enterprises, or SME segment, has been doing well. This portfolio is well diversified, with each specific industry exposure not exceeding more than 10% of the book," said Chandra. This business segment was launched in November 2006, ahead of its consumer banking business, and is profitable. The bank has six branches and Barclays Investment, its non-bank financial company, has 119 outlets. “We have constraints on the number of branches we can open while the NBFC with the 119 branches gives us the reach," said Gopal. Over the past two years, the bank has invested over £240 million to set up and grow the GRCB business in India, and is willing to infuse more capital, Barclays officials said.